So, you got it. Your customer has made a purchase. Read on to see why a post purchase survey will help separate your e-commerce business from your competitors. As a business owner, it’s important to always stay in touch with your customers to know what they want, what they like and what they’d like to change. You want to get positive feedback when it’s there. Even more important, get negative feedback in order to improve and make sure your customers are happy, and that mistakes won’t repeat themselves unnecessarily. As an online business owner that can be tough to come by, since your friction with the customer is slim to none. You can get thousands of transactions every day without even speaking to a single customer. Does it mean you don’t have to listen to your customers? No, the golden rule still applies online. A happy customer is a returning customer, and in the long run, returning customers will keep your business running in a healthy way. Not only will your customers know you care about them, but they’ll also appreciate you respecting their input. They might even thank you by making another purchase and deepening their relationship with you. What is the Difference Between External and Internal Feedback Surveys? 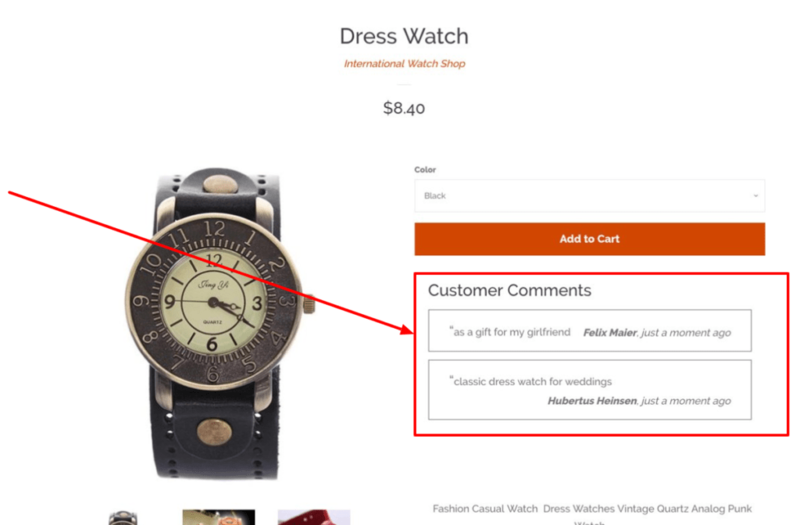 The first thing to ask yourself is how do I get e-commerce customer feedback? You’d like to get the highest response rate possible. After all, the more feedback you get, the easier it’ll be to make data driven decisions with statistical significance. There are a few options to get customer feedback. The first way is to use an external service that will conduct the post purchase survey in a different domain. Usually, an invite to answer the survey will be sent in an email or SMS, asking the customer to answer a few questions. The other way is to embed the survey internally on your website in certain parts of the funnel. Creating an effective feedback loop. Use Feedier to create engaging feedback forms and embed them as part of your funnel. The customer won’t have to go through hoops to answer the survey. He’ll be able to just fill in the information and submit on-site. Unlike SMS/email where the customer has to stop whatever he is doing and go to a new page. While browsing your website, your visitors are “hot.” Meaning, their emotions are much more enhanced. If something is bothering them, they’re more likely to want to talk to someone about it in order to fix it. On the other hand, if you send them an email 3 days after visiting your website, they might be busy or no longer interested. As I mentioned above, during their visit on your website, the visitors are much more emotional than after it. Either because they’re about to make a purchase, because something is bothering them or because they’re just engaging with your content. When someone is engaged or has a strong emotion he is more likely to write in-depth feedback about what he feels. That’s why bad reviews are usually longer. Customers are angry and want to express that. On the other hand, if you have an issue and someone helped you, you’re much more likely to leave a long, positive review. When placing the feedback request on your website during the funnel (it can be the home page, product page, cart, checkout or post checkout) the customer can see the questions and think about them while watching the relevant part of the funnel, without having to think about it in retrospect. This will make the feedback way more accurate and relevant. How Do You Collect Website Feedback? You already know that the best way to ask for feedback is through embedded surveys on your website. But, where should you put them? Well, that depends on what part of your website you’d like to get feedback on. If it’s the product page, you can add it there. In case there is specific functionality you’d like to get feedback on: just ask a direct question ( for example: “do you understand the measurements?”). If you want feedback about a specific product, you can add it as a Q&A section as well. There you’ll get some organic content and help answer customers’ questions. If it’s the checkout process you want feedback about, you can add the survey in the cart/checkout. This way if people have any issues with it, they will know where to find you and give you the necessary feedback. You can use a solution offering on-site feedback widget, such as Feedier does. The most common and effective place to locate your surveys is in your store’s thank you page, AKA order confirmation page. Hence, the post purchase survey. This is because, when customers get there, they’ve already agreed to take a very big action on your site, they gave you their money! Answering a small post purchase survey is fairly easy to comply with at this point in time. Also, people that get to your thank you page just went through the entire funnel, if there is an issue anywhere, they’ll know about it and will let you know too. Another important reason to do it on your thank you page is that you can know exactly the identity of the person who answered the post purchase survey. You have their name, email, address, etc. Unlike an embedded form on the product page where people can answer the question and stay anonymous. The last reason to use the thank you page is that whoever sees it is the most valuable to you, what they want should be the number 1 priority for you. The customer is always right, do you remember? Good segmentation will take your campaign results to the next level. Your ROI will go up while your costs will go down. Well segmented campaigns can perform 200% better than non-segmented campaigns in terms of click-through rates. 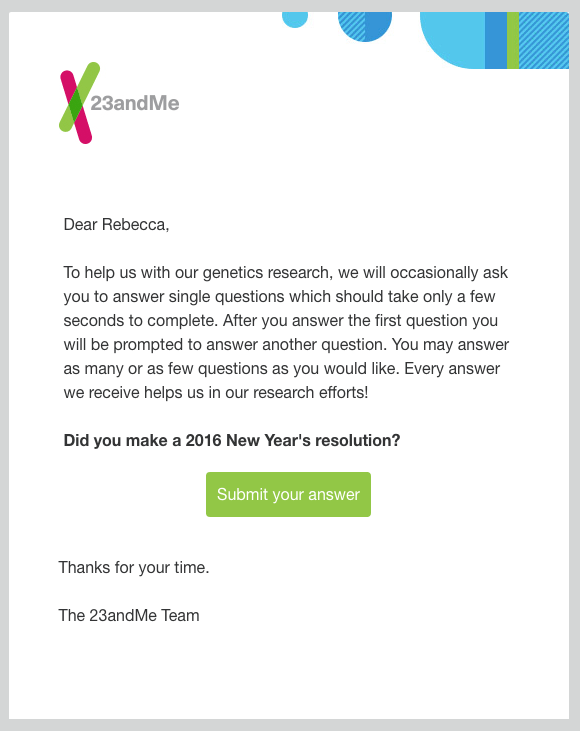 You can use surveys to segment your customers in many sales channels. I will give examples from two of the more popular channels. Anyone who has some experience with Facebook ads knows that the power of Facebook is in deep targeting and segmentation capabilities. The ability to create custom audiences based on user-driven data and later on create a lookalike audience. Using surveys to create these audiences can be extremely powerful. Add a survey on the product page asking visitors what they think the price for the product should be (within an affordable range). Let’s assume $60, $40, $30. Create a custom event in Facebook for each response, and then advertise to people who didn’t purchase and answered the poll a “special deal.” For a limited time with the price they chose on the poll. Again, create a custom event for each of these answers, and advertise to them accordingly. Not only will the results on your future campaigns be very high in terms of ROAS, when you collect enough data you’ll be able to create a lookalike audience for every discount type. This will take your Facebook ads to the next level. When it comes to email marketing, segmentation is even more important than in other channels. The better your overall account performs in terms of open rates, and spam ratio, the better your results will be in terms of deliverability. The more information you have on your customers, the better you can engage them with your emails. You can use the example I mentioned in the previous section about Facebook, for the exact same scenarios in your email marketing campaigns. Send free shipping offers to people who said they’re interested in that, send new product launches to people who wanted that, etc. What would you like to receive content about? Now you know not to send a new blog post about soccer gear to a tennis lover. You can use the same idea to ask about timing. ask your customers how often they’d like to hear from you, so you don’t spam them and get them to unsubscribe. Or ask in what time of the day they’d like to receive emails at. You’ll be blown away with how much your results improve. You can use satisfaction surveys or questions to gather some more information about your products or store and squeeze some more out of your customers. By adding a short question next to each product purchased, you can gain some powerful insights about why people bought the product, for who, if they have any questions or worries about it, and what made them choose specifically this product or variant. Later on, you can also display this data on the relevant product page as user-generated content. It’ll increase your customers trust in you and increase overall site conversions. You can also add post purchase survey questions about the customer’s experience with your store, asking him to summarize it or if he’d recommend the store to friends and family. Save the good answers and display them on your home page later as store reviews. These two review-like examples I just mentioned are very effective when it comes to generating original and authentic content. And the rate in which you’ll collect them will be a few times higher than regular product/store email review requests. 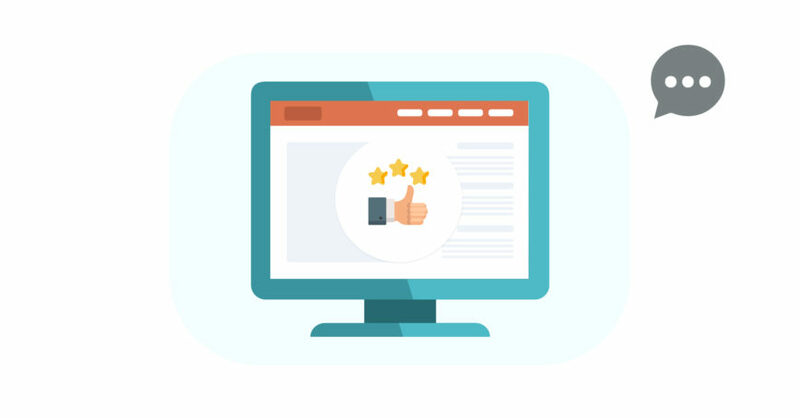 As you probably already know, user-generated content and product/store reviews can increase conversion rate in up to 2.7 times your CVR without it. Use post purchase surveys to generate more content than ever before! 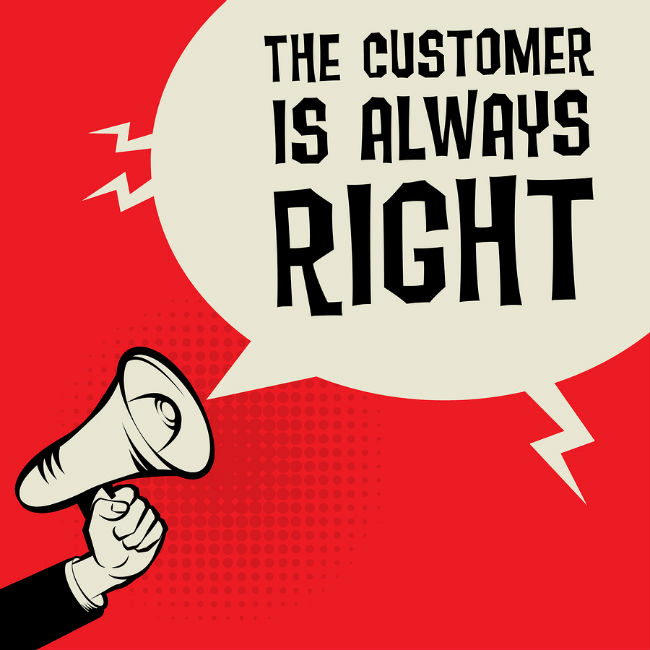 “The customer is always right”, I started with this golden rule and I’ll finish with it. The fact that you’re an online business doesn’t mean that you should ignore your customers’ feedback. I would say it’s the exact opposite. Even if you’re doing well, if you don’t listen to your customers and give them what they want, you’re shooting yourself in the foot in the long run. 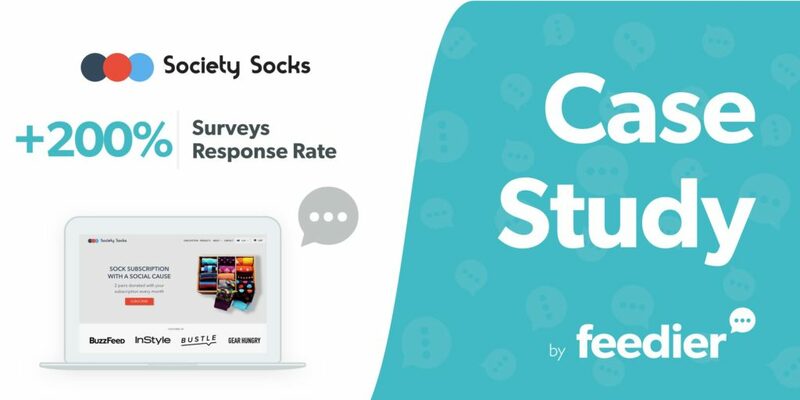 Use the power of post purchase surveys to gain private knowledge and insights about your customers, get high-quality user-generated content, learn their language and get the most out of them in the future. Meet Feedier, your gamified feedback go-to solution. Ariyeh Even Haim served 3 years in the IDF as a Tank Commander and owned a 7-figure eCommerce business. He co-founded StilyoApps, Shopify apps that help you sell more, one of them being ReConvert – Shopify thank you page builder & post purchase upsell.